1 How many books are there in the Bible? How many are in the Old Testament and how many are in the New Testament? 2 Who was responsible for writing the Bible? Who contributed most to the Old Testament? And who contributed most to the New Testament? 3 When was the Bible written and how long did it take? Which books are the oldest and youngest in the Old Testament and New Testament? 4 What languages was the Bible written in? And when did the Bible get translated into English? And how many languages has the Bible been translated in as of today? 5 How did the Bible become canonized? 6 When was the Bible printed? What is the oldest manuscript? 7 What are the longest and shortest books, chapters, and verses in the Bible? 8 Do any books of the Bible not have the word “God”? 9 Who is the oldest man to live? Did anyone in the Bible never die but be led to heaven? Who was the meekest man within the Bible? 10 How many kinds of books are there in the Bible? 11 Where was the Bible written? 12 How many chapters are in the Bible? 13 How many verses in the Bible? 14 How many words in the Bible? The Bible is considered by many to be the most important book to ever be written. It offers an eyewitness accounts that gives us a glimpse of crucial historical events which have shaped the world, making it how it is today. Without the Bible, the Western world as well as a great deal of the East would be very different. A large percentage of people, both alive and dead, have claimed that the events within the Bible are the most important to be recorded in history. Are you devoted to the Bible? The following Bible facts will help you confirm your knowledge and well-understanding about it. You can also share these interesting Bible facts with others. The following Bible facts are showed by answering the most commonly asked questions concerning it, providing general and basic information you must know about it. How many books are there in the Bible? How many are in the Old Testament and how many are in the New Testament? Who was responsible for writing the Bible? Who contributed most to the Old Testament? And who contributed most to the New Testament? The Holy Spirit inspired the writing of the Bible and it includes elements written by more than 40 different authors that had very different lives. These authors included kings, philosophers, priests, fisherman, physicians, tent-makers, farmers and shepherds. The Bible manages to be a unified and cohesive book despite the range of occupations performed by its authors as well as the vast amount of time it took to write. Moses contributed the largest number of books for the Old Testament, writing the first five books. These are known as the Pentateuch and considered to be the Bible’s foundation. The Apostle Paul contributed the largest number of books to the New Testament, writing 14 books, which is over half of it. When was the Bible written and how long did it take? Which books are the oldest and youngest in the Old Testament and New Testament? The Bible was written over 1500 years, between 1400 B.C. and 100 A.D.
Scholars frequently agree that the oldest book of the Bible was Job, which was written around 500 B.C. by an Israelite whose name and occupation is unknown. Other scholars, however, argue that the Pentateuch (the Bible’s first five books) is the oldest and were written during the years 1446 to 1406 B.C. The youngest book of the Old Testament was written around 400 B.C. and is the book of Malachi. In the New Testament, the oldest book is James, which was possibly written in 45 A.D. The youngest book is the Book of Revelation, which was written around 95 A.D.
What languages was the Bible written in? And when did the Bible get translated into English? And how many languages has the Bible been translated in as of today? Bible facts state that the original Bible was written in a combination of three languages: Koine Greek, Aramaic and Hebrew. It was first translated into English by John Wycliffe in 382 A.D. Today, there are over 2,018 languages that you can read the entire Holy Bible in as well as partial translations and audio ones of unwritten languages. How did the Bible become canonized? The term “canon” comes from the Greek “Kanon” which is a measuring rod, so when people say that the Bible was canonized, it means it has been measured by a test of authority and divine inspiration. At its canonization, the Bible became a set of writings and books that was accepted by early Christian leaders and the apostles as the basis for current Christian beliefs. In other words, the Bible became the standards because all Christians worship throughout time. The Old Testament was canonized a very long time ago, before Christ’s advent. The New Testament as a whole was canonized at some point before 375 A.D., in the form we know today. When was the Bible printed? What is the oldest manuscript? The first printing of the Bible was in 1454 A.D., thanks to Johannes Gutenberg, and it was actually the very first book to be printed. Gutenberg became famous for inventing the type mold of the printing press. The oldest almost-complete Bible manuscript that still exists today is the Codex Vaticanus, dating back to the fourth century, specifically the first half. You can find this manuscript in the Vatican library. Although that is the oldest almost-complete manuscript, there are many older fragments, including a small scrap from the Gospel of John from the early second century. This scrap was discovered in Egypt and is in Rayland’s Library, Manchester, England. What are the longest and shortest books, chapters, and verses in the Bible? The longest book is Psalms, while the shortest is John. The longest chapter is Psalm 119 and the shortest is Psalm 117. The longest verse is Esther 8:9 and the shortest is John 11:35. Do any books of the Bible not have the word “God”? The book of Esther never mentions the word God. Who is the oldest man to live? Did anyone in the Bible never die but be led to heaven? Who was the meekest man within the Bible? The oldest man who ever lived was Methuselah, who was 969 years old, according to Genesis 5:27. Enoch simply walked with God and was no more instead of dying (Genesis 5:22 - 24) and Elijah was caught in a whirlwind and carried into heaven (II Kings 2:11). Other than Jesus, the meekest man within the Bible was Moses. How many kinds of books are there in the Bible? Bible facts will tell you that there are 17 historical books, 5 poetical books, and 17 prophetic books in the Old Testament in addition to the 4 Gospels, 1 Acts, 21 Epistles and 1 Revelation in the New Testament. The Bible was written in different locations by different authors, including in palaces, dungeons and the wilderness. How many chapters are in the Bible? There are 1,189 chapters in the Bible, with 929 in the Old Testament and 260 in the New Testament. How many verses in the Bible? There are 31,173 verses in the Bible, with 23,214 in the Old Testament and 7,959 in the New Testament. How many words in the Bible? There are 773,692 words in the Bible, with 592,439 in the Old Testament and 181,253 in the New Testament. Many secular historians write about events similar to those in the Bible, conveying a sense of historical accuracy. There has also been some support from Old Testament archaeology. You will not find any contradictions within the Bible. You can only find contradictions by taking verses out from their context, but these do not exist when the Bible is viewed as a whole. 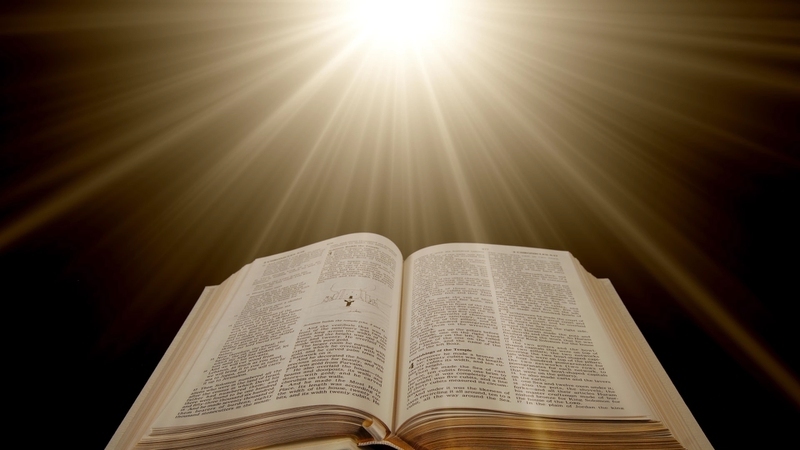 There is little doubt that the Bible is one of the world's best sellers of all time. If you don't believe in it, you can search for the answer by yourself.